Browsing articles from "July, 2016"
It’s not often I get excited about new character introductions in comic books but on July 6, 2016, Marvel officially announced that Riri Williams, a teenage, African American girl, would be stepping into the role of Iron Man at the end of the comic book event series Civil War II as Tony Starks steps out of his iconic creation. 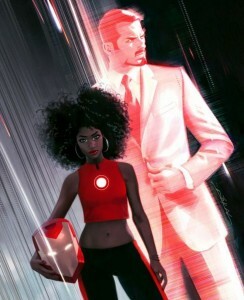 Riri Williams is a 15 year old science genius who enrolls at MIT and builds an Iron Man suit in her dorm room which of course gets Tony Starks attention. What’s important to note is while she has built an Iron Man suit and was created as a character to step into the role of Iron Man, her character name at this point has not been set. Since 2009, I have coached and mentored the only all-girls, city-wide FIRST Robotics Competition team in the City of Chicago proper that is composed exclusively with African American and Hispanic girls. Our focus on involving girls in areas of FIRST extend beyond the usual roles you find girls engaged in on many teams. Our work with the team has been hard yet gratifying and 2016-2017 looks to be the most promising year ever so the news of an African American 15 year old science genius stepping into the role of Iron Man in the pages of Marvel Comics was thrilling. It isn’t new news to comic book fans that Marvel has been expanding it’s superhero universe to include more diverse characters in regards to race and gender. 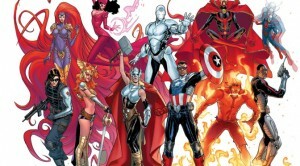 The new Captain America is Sam Wilson who was formerly Falcon, Miles Morales, the new Spider-Man is half African American and half Puerto Rican from Brooklyn, and the new Avengers team A-Force, is led by all female characters. But not everybody in the fandom world is happy about these changes. New characters who have their own personalities and their own story lines appear to be more acceptable than replacing existing characters who are ethnically and gender different. This has never been more true. Upon learning about the introduction of the New Riri Williams character, I tweeted about the possibilities of STEM involvement and engagement using her character as an inspiration as well as STEM literacy as a springboard. My tweet received several favorable likes and a few re-tweets but one incredibly outraged fan sent an expletive my way and mentioned that the whole Riri Williams announcement was for the most part an act of retardation. I had one additional person respond that black characters in Marvel are nothing new so “RU Oppressed?” based on my hashtag #changehurts. Well aren’t we all in some ways? I became the NASA Lady to bring the technologies of NASA from Space Shuttle launches, to missions, satellite deployments, and space science in general to an audience that has little to no involvement or knowledge of NASA or how they can become producers versus consumers of technology. Oppressed? That’s a topic for another blog post but anytime you present people, characters, or events where diversity in ethnicity and gender are absent, there is oppression. When I did the Moonbugy competition with my high school students, CNN did an article on the team titled they have to see it to be it. Riri Williams fits this ideology perfectly. As this story line unfolds and Riri comes up with a name for her superhero persona, whether she becomes Iron Woman, Iron Teen, Iron Maiden, or something completely different will not have any affect on the impact a 15 year old African American girl who graduates early and gains admission to MIT and builds an Iron Man suit in not a lab but her dorm room can have on young girls who now can dream it, see it, and believe that they to can dare to do great things.